The Journal is published half-yearly and submission is open to faculty and students of medical and allied health sciences from India and abroad. All papers are subjected to peer review by the Editorial Board and also experts in the field before acceptance for publication. All papers are accepted subject to editorial changes. The journal does not levy any fees for the review process and the articles can be accessed on the web, free by the global community. However a nominal fee is charged for the print version of the Journal. Presentation of manuscripts should conform with the uniform requirements for manuscripts submitted to biomedical journals [http://www.icmje.org]. Manuscripts should be submitted as per the instructions given below. Failure to follow these instructions may result in the manuscript being returned to the author(s) for revision. The manuscripts submitted to the Journal is considered not submitted elsewhere nor under consideration for publication in other Journals. All contents related to manuscript submission should be in English on a White paper of A4 size with margins of 25mm (1 inch) width on all the four sides. Print should be on one-side only with double spacing throughout. Pages should be numbered consecutively, beginning with title page. Lettering should in Times New Roman with a font size of 12. Three paper copies should be submitted to the editor. In addition to the paper copies, a digital copy should also be submitted through e-mail or on a compact disc. Studies involving human subjects or animals should have received the approval of the institutional ethics committee. A statement about this should be mentioned in the methods of the manuscript. Pictures having visible identity of patients should be accompanied by a duly signed patients consent form. the name , address, contact number and email of the corresponding author to whom queries and proofs should be sent. The authors are strictly advised not to mention their name and affiliation details in any of the subsequent pages other than the Title page since it may interfere with the review process. II. Abstract and Key Words. It should be written for the readership of both clinicians and basic investigators and should state the hypothesis or central question of the study or investigation, the study subjects or experimental animals, observational and analytical methods, the main findings, and a final statement of the principal conclusions. Three to six key words using, where possible terms of medical subjects headings list from Index Medicus [MeSH]. It should commence on separate page and should briefly review the current state of knowledge about the topic of the paper. It should also explain clearly the reasons for undertaking the study being reported and what it hoped to achieve. Any mention about the results obtained or conclusions observed should be strictly avoided. The material (patients, laboratory tests, experimental animals, etc.) used for making observations must be described along with all other relevant information. The methods used in the study should be described, giving sufficient information to permit the work to be repeated. If a generally accepted technique has been used, only a reference to that is enough. If, however, such a technique has been modified by the workers, the manner in which this has been done should be clearly stated. The relevant statistical methods used for analysis should be briefly explained mentioning the objective of each statistical test in relation to the variables in the reported study that is meaningful. When ‘p’ value is mentioned the exact number should be mentioned [exception is a highly significant value which may be mentioned as <0.001]. Mention should be made about the predetermined level of ‘p’ value which will be considered significant. Details of the statistical software used and its version needs mention. This section should not include materials suitable for inclusion in “Material and Methods’ or “Discussion”. The results should be presented in logical sequence in the text, tables and illustrations. The data presented in the tables or figures should not be repeated in the text. Only important and significant observations should be included. This should be limited to significance of results obtained and what can and what cannot be concluded and why. It should not be a repetition of the findings already given under ‘Results’. Results should be discussed in the light of others’ work in the field. Speculative and purely theoretical discussion to which results presented are not related will not be accepted. Acknowledgement should be brief and made specific for scientific/technical assistance and financial supports in the form of grants/drugs/ equipment only . References should be typed on a separate page after the text and these should be numbered consecutively in the order in which they are first mentioned in the text. In accordance with best practices in scientific writing, latest articles published in relevant area must be referenced. Identify references in text, tables, and legends by Arabic numerals in parentheses. Halpern SD, Ubel PA, Caplan AL. Solid-organ transplantation in HIV-infected patients. N Engl J Med 2002; 347: 284-7. Rose ME, Huerbin MB, Melick J, Marion DW, PalmerAM, Schiding JK, et al. Regulation of interstitial excitatory amino acid concentrations after cortical contusion injury. Brain Res 2002; 935 (1-2): 40-6. Tian D, Araki H, Stahl E, Bergelson J, Kreitman M. Signatureof balancing selection in Arabidopsis. Proc Natl Acad Sci USA. In press 2002. Meltzer PS, Kallioniemi A, Trent JM. Chromosome alterations in human solid tumours. In: Vogelstein B, Kinzler KW, editors. The Genetic Basis of Human Cancer. New York: McGraw-Hill. 2002; pp 93-113. Christensen S, Oppacher F. An analysis of Koza’s computational effort statistic for genetic programming. EuroGP 2002: 5th European Conference on Genetic Programming; 2002 Apr 3-5; Kinsdale Ireland. Dengue haemorrhagic fever: diagnosis, treatment, prevention and control. 2nd edition. Geneva : World Health Organization . available at: http://www.who.int/csr/resources/publications/dengue/Denguepublication/en/[accessed on sep 10th 2008] Correctness of the reference list is the entire responsibility of the author (s). Glossy print photographs (in triplicate) are required (usually 10 cm × 8 cm); good contrast is essential for good reproduction. Figures (not more than 4) may be submitted in a digital file, preferable in a JPEG (or) TIFF format. Figures should be labeled appropriately using arrows [black, white, single or double] which should be mentioned and explained in the legend. All Figures must be numbered and cited in the text. Legends should be provided for each figure , listed on a separate page. 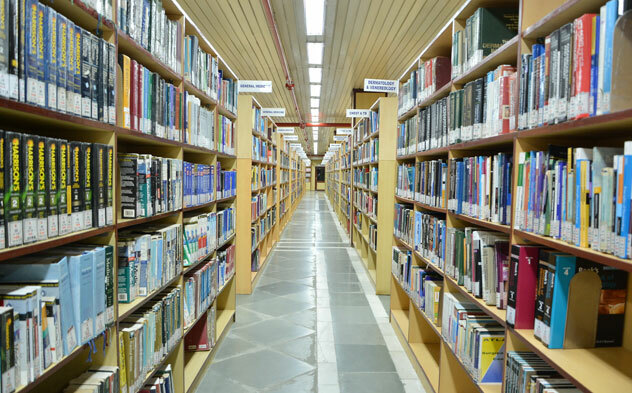 Figures reproduced from previously published journal articles , textbooks or websites should accompany details of permission obtained from the respective copyright owner. Each table should be typed double-spaced on a separate sheet. The total number of tables should be not more than 3. They should have an underlined title followed by a legend, if any. Explanatory matter should be in a footnote, not in the title. The symbols *,†,‡,§,||,¶,**,††,‡‡ can be used in the table or its foot note. In an unstructured format not more than 250 words. It should describe the background and summary of the discussion related to the topic of interest. Minimum of three MesH words to be mentioned at the bottom of the abstract. Upto 50 references may be included in these articles. It should commence on separate page and should briefly explain the reason for the review. This should be a brief overview about what is already known on the topic of the article. This should be followed by a statement on the method of review of literature. A systematic explanation of the methods followed to search the literature on the topic of interest is desirable. Topic being reviewed in the article should be extensively researched and it should be arranged in a logical manner with relevant subheadings. illustrations , flow charts and tables should be used to explain the text. It should conclude with a brief statement on current opinion on the topic of discussion and future of the same. A hypothesis for future research may also be generated. Title page, acknowledgement, references , tables and figures should be prepared as per instructions already mentioned under guidelines for original article. Properly analyzed cases reflecting important clinical problems that contribute to the understanding of pathogenesis, diagnosis and management of a condition are welcome for this section. Manuscripts discussing more than one case will be given preference. The manuscript should not exceed 750 words with no more than 2 tables/ 3 figures and 10 references. The manuscript should be arranged as title page, abstract, Introduction, description of the case and discussion, acknowledgements, references , tables and figures. It should be no more than 200 words. It should highlight the clinical importance and salient features of the case . 3 Mesh words should be provided. A brief mention about the background literature related to the case discussed. This should focus on epidemiology and clinical relevance of the case. The case should be narrated in a simple and logical manner with important observations shown as tables and figures[the latter two should be kept at the end of the manuscript as described earlier]. Discussion should focus on similar or related case reports published in the global literature and important or unusual features in the case described. Title page, acknowledgement, references, tables and figures should be prepared similar to instructions already mentioned. Interesting images which is of practical importance are welcome for this section. It should not exceed 300-500 words.Should be prepared as title page, text which briefly explains the details of the image with a short relevant discussion , images which are appropriately labeled and accompanied by legend and references no more than 5. Images should be as per our instructions mentioned under original article. Abstract is not required. Correspondence with comments on a recently published journal article or scientific content not related to a journal article [ case report, research protocol, original research,etc] is welcome. Word limit is 300 words and 5 references. Abstract is not required. Title page should be as already described. Patient consent form [ Form-C], when applicable. Ethics committee approval copy ,when applicable. If hard copies of images are not available then a soft copy is sufficient. Carcinoma Ex Pleomorphic Adenoma: A Rare Sight on Cytology! Padma Srikanth, Ezhilarasan Rajaram, Suchithra Sundharsanam, Anandhi Lakshmanan, SSM. Umamaheswari, kalyani J. Plant Kindgdom claims for insulin!!! 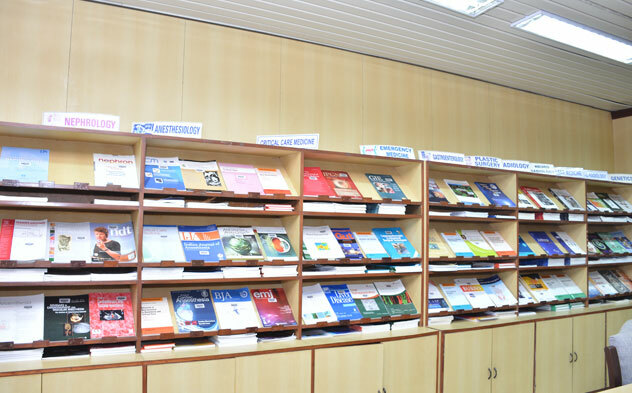 Translational Medical Education and Research: Sri Ramachandra Institute of Higher Education and Research (Deemed to be University) Initiatives. A Stitch in Time Saves Nine – Patient Not Responding to Antibiotic Treatment Think of Fungus. Screening, Stabilization and Expansion of Secretory Hybridomas in Culture as a Steady Source of Monoclonal Antibodies (Mabs).